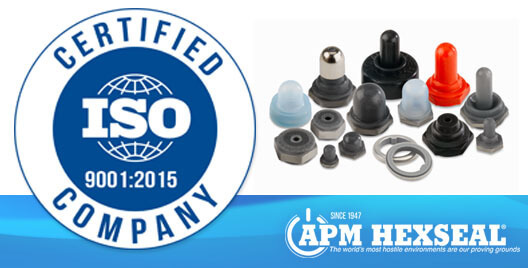 APM Hexseal is now ISO 9001:2015 Certified » HHP Associates, Inc.
APM Hexseal announces that they are now ISO 9001:2015 certified. This achievement is evidence of their strategic direction, forward placement in the market, and dedication to continuous improvement throughout their operation. APM constantly strives to advance their processes while adhering to strict safety and quality standards. ISO certification is a quality management evaluation tool that helps a business update internal processes, which in turn improves efficiency and effectiveness. The certification is assessed and granted only by accredited certification agencies.